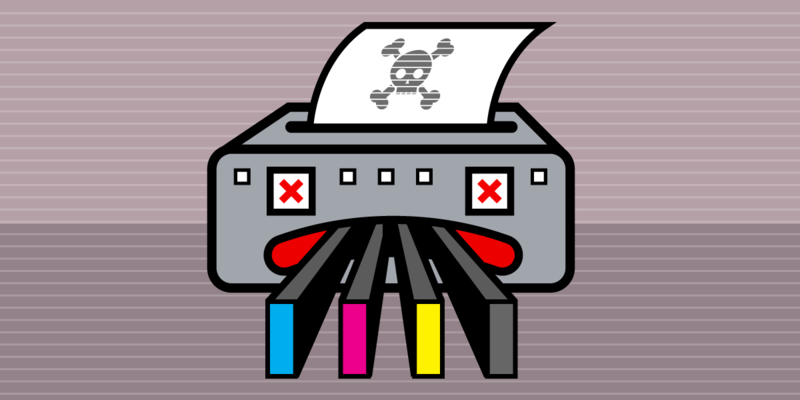 Printer maker Lexmark sued chipmaker Static Control Components (SCC). SCC produced replacement microchips that enabled printer cartridge remanufacturers to refill laser toner cartridges and sell them more cheaply. Lexmark claimed that SCC circumvented Lexmark's access control technologies and infringed its copyrights by "reverse engineering" its printer toner cartridges in the course of developing its replacement chips. The copyrights in question were to Lexmark software contained on its toner cartridge chips. Lexmark cited provisions of the Digital Millennium Copyright Act (DMCA) in the lawsuit. The district court ruled in Lexmark's favor then Static Control appealed to the Sixth Circuit. EFF filed an amicus brief to the appeals court supporting Static Control. The Sixth Circuit ruled in favor of SCC holding that (1) some of the Lexmark software was insufficiently creative to deserve copyright protection and (2) the authentication handshake did not effectively protect the software because printer owners could directly access the software through other open interfaces. While an important victory against the anti-competitive uses of the DMCA and digital rights management (aka "technical protection measures") the Sixth Circuit ruling likely will not prevent companies from trying tactics similar to those used by Lexmark in the future. In addition Lexmark is also using patent law to restrict competition in secondary markets for refilled toner cartridges. EFF amicus brief in support of Static Control Components, Inc.
Read more about EFF amicus brief in support of Static Control Components, Inc.
Read more about Electronic Frontier Foundation Defends Printer Cartridge Co.
Read more about Brief Amicus Curiae of Computer &amp; Communications Industry Association In Support of Static Control Components, Inc.
in support of the exemptions from s.1201 sought by Static Control Components Inc.